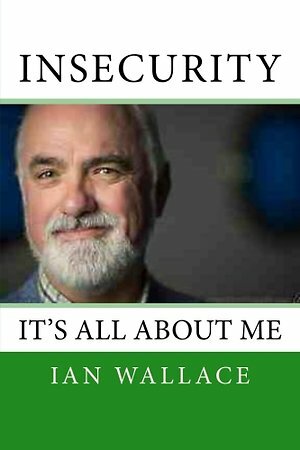 Next dynamic accredited training " 7 Day accredited Couple course in Sheffield"
My new book, Insecurity its all about me, is now available to buy on Amazon and on Kindle. This book helps you to understand the complexities and enabling ways to work with insecurity in our lives and our Clients lives. It focusses on helpful ways to work with and explore our insecurities giving you a understanding of how insecurity impacts on our lives. What behavioural patterns then emerge from our natural insecure drive. A small investment for years of happiness. Visit my other site Seeking Change to find more tools and ways to have a healthy life and relationship. Hi my name is Ian and I started Counselling Wakefield over 12 years ago. I and my professional associates work at Counselling Wakefield. We are fully qualified to deliver the Counselling, Supervision and the other therapies we offer. I am also the Counsellor for Relate Wakefield and offer counselling services for all WF postcodes, although the Relate Wakefield is a paid for service. We all have many years of extensive practical experience counselling Client’s. We work with all the areas of life’s conflicts and issues, from helping with your relationships, bereavement, self-esteem, sexual issues and mental health, which may be affecting you. If you feel you are seeking change and seem lost, stuck, or with no one to turn to? Then counselling will help you find a way forward. If you don’t reside in the Wakefield, Dewsbury or local area then Ian offers counselling with Clients either by Skype or on a land line telephone, for a reduced fee of £40 for 45 minutes, if you feel more comfortable to access your therapy in this way and not meeting face to face or cannot travel to access our services and can use Skype or the phone then please give him a call. For relate Wakefield services please contact only Ian. We will arrange a suitable appointment time, with no commitment, to confidentially discuss your needs with Relate trained Counsellors who are experienced in working with Families, CYP Individuals and Couples or our other specialists who work with sexual addictions, PST (psycho sexual therapy) CBT (Cognitive behaviour therapy) or severe mental health issues. Our hand-picked professional Counsellor / Associates can also offer Supervision, business and personal coaching all of which are offered from our Wakefield Premises, although for business coaching visits to company offices can be arranged or can be conducted via skype. Our Wakefield hours of opening are Monday, Tuesday, Wednesday, Thursday, Friday and Saturday from 9.30 till 9pm. As appointment availability can change hourly it is best to phone us to check our availability and to book an appointment with a Counsellor. We help people with counselling around Couple conflict, Relationships both personal and work, Self Esteem, Confidence Building, Bereavement, Emotional Conflict, Sexual Addictions, Family therapy and Gender Identity, in fact anyone seeking change in their life. We do and have also provided Counselling and Therapy to the following agencies Relate, HM Forces, Local Government Authorities, GP Surgeries, Police, Ambulance, EAP's, NHS and other local providers. We have our counselling practices on Bond St, just outside Wakefield city centre and close to train and bus terminuses, which is easily reached from Leeds, Huddersfield, Dewsbury, Ossett, and all outlining WF postcodes. We are registered with the following appropriate organisations. As therapists or listeners we often find that people come to us for a communication, confidence or self-esteem issue. We then start working with them on helping them to achieve their goals, all seems fairly simple and an easy-ish goal to attain. As we work with them and their confidence in us grows, through engaging in a good therapeutic alliance with them. They suddenly start to feel uneasy in the room, seen either through their body language or they verbal interactions with us, this then becomes a fork in the journey, do we recognise it and bring attention to it or do we just see it as something which is happening but does not have any relevance to the work, they are just having a difficult day. If we bring attention to it through our words and give it a voice, using immediacy, then it could help the Client take a different fork in the road and lead to a disclosure of some further work at a deeper level with harder and engaging in more emotional turmoil. At this point the feeling in the room is like a stillness that you feel before the storm hits, it has anxiety and power within it but it’s not showing itself at that point, you know something is there but as yet have little idea of what only that it is emotionally disturbing for the Client. We the Therapist can stay within that unnerving feeling, sometimes lasting for a long period of time, which helps the Client to feel we are walking with them, not pushing them forward or pulling them back. In this slow step by step journey then the real work usually starts, the reason they have for the poor communication, self-esteem or anxiety issues that they first presented with. This is a really scary place for both Therapist and Client and has no real direct path but meanders through at crazy tangents sometimes emotionally unstable peaks and troughs, sometimes flat and with little direction. This journey may last a long time and may need breaks in-between for the Client to rest and assimilate the work, feelings and emotions into their world, especially if the person who created their emotional insecurity is still around. Stay with the Client do not lead or restrict allow them to engage when they can and support them when they can’t always giving control to them. You are being given the rare opportunity to build a deep trust and respect with them and we should feel humble to be chosen to walk with them.